Thanks to the most excellent wiggey I finally have a straight front w/ EBC rotors - awesome feel with fresh HH pads on. I'm using a magnet-type pickup to connect to a SS182/Koso knockoff speedo. Works great, but the magnet mounting is not ideal. The buttons have a ~10.75mm ID and very small clearances to work with. I got it working with two donut magnets and some SS tapered bolts, but the fragile donut magnets have me concerned. Any purpose-built magnets out there or clever ideas on a better setup? 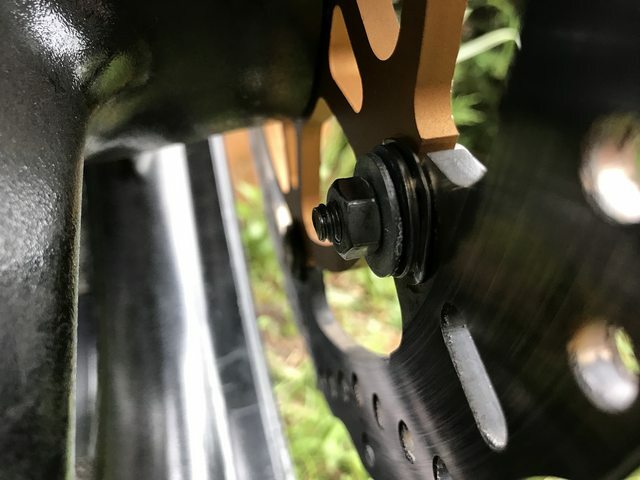 I JB welded the magnet on my DR rotor and it held up like a champ after a full year of woods - but I'm not to keen on doing that with the higher temps/speeds/permanent nature of this setup. Just thought I'd throw it out there to the group-mind! 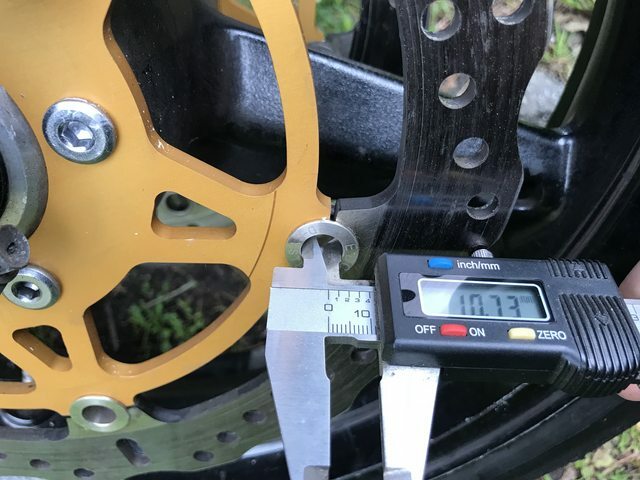 Even if I trusted velcro, there is almost zero clearance from the caliper. Few hundred miles and the donuts have held up though. 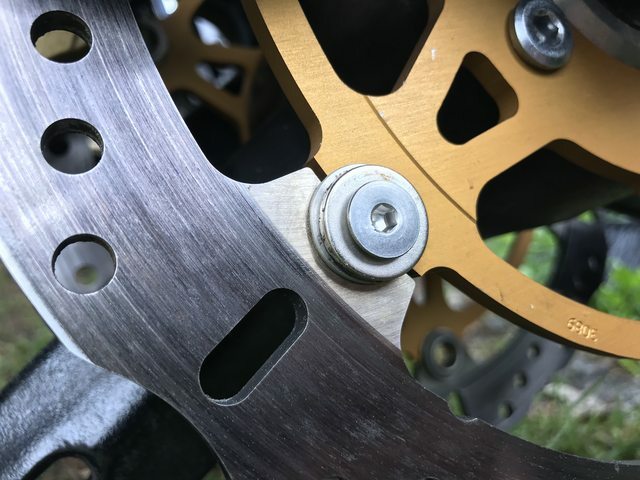 Tekime - are those EBC rotors? If so: what pads are you running? Yes - running EBC HH pads. Haven't tried anything else with these rotors, but so far I love them. Really tons of stopping power. Different bike, but huge difference compared to stocks on my gsxr. Thx for the info. Did you buy them new? I bought a set for a track bike and they had a nasty vibe right out of the box. Running new Vesrah pads. Lightly used. Hatched them up with a sanding sponge, then new HH pads with some lowing speed breakin to bed them. Haven’t gotten them real hot yet though, just a few hundred spirited street miles.